As Amazon’s Echo has been in the market relatively uncontested for the past two years, it was about time someone else jumped into the smart speaker game and who else is more appropriate than Google who revealed back in May that they had their own smart speaker in the works which ultimately launched as the Google Home at the Made by Google event back in October. 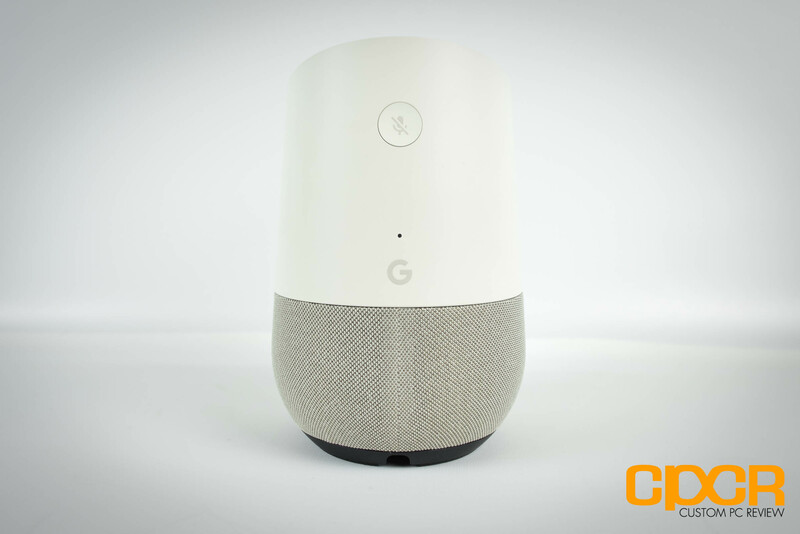 Let’s take a closer look at the Google Home. Here’s a look at the packaging. It’s very white which gives it somewhat of an Apple-esque feel. Included is pretty much the bare minimum of some documentation, a power adapter, and the Google Home. The Google Home is a relatively small device measuring in at 5.62 in tall and 3.79 in in diameter. 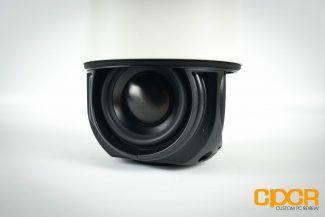 The speaker grille located at the bottom half of the unit is attached magnetically and can be removed. Google will offer seven different color bases (speaker grilles), which can better help the unit blend into its surroundings. Three sides of the Google Home are surrounded by 2″ Neodymium Drivers (3 drivers in total) while the 4th side (in the rear) only features a mysterious microUSB port which currently doesn’t do anything. 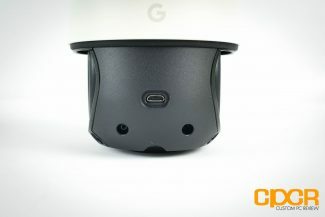 It’s likely that the port is used only for diagnostic purposes and gives Google the option of extending functionality of the Home in some way later down the road, but this is all speculation at this point. At the bottom is a DC power port. The Google Home AC adapter is rated at 16.5V, 2A which can theoretically provide up to 33W of DC power. In use, the Google Home drew about 2W at idle, 4W while music playing at medium volume levels, and a maximum of 10W with music playing at maximum volume. At the rear of the unit there’s a microphone mute button, a status LED, and a Google logo. 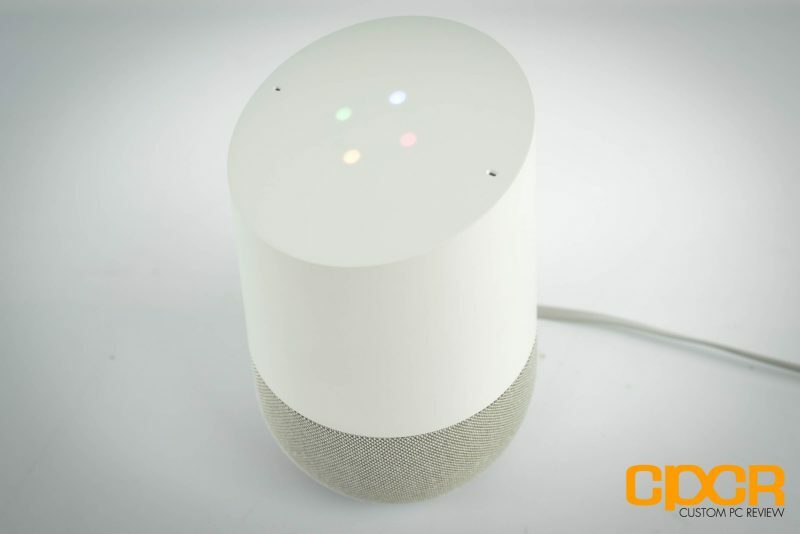 Google wants to ensure that if you’re paranoid about being monitored, the mute button will stop Google Home from listening. It also is very effective when other people who enjoy screwing with your Google Home are at your house. More on that later. 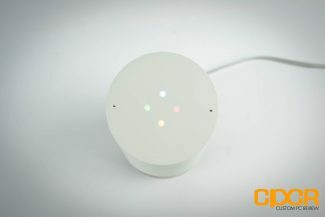 Up top there’s two microphone holes which feature far-field microphones and a ring of LEDs around the center which light up when Google Home is summoned. The top of the unit also features a capacitive touch sensor which allows you to adjust the volume by touching the device. Setting up the Google Home is a fairly painless affair. 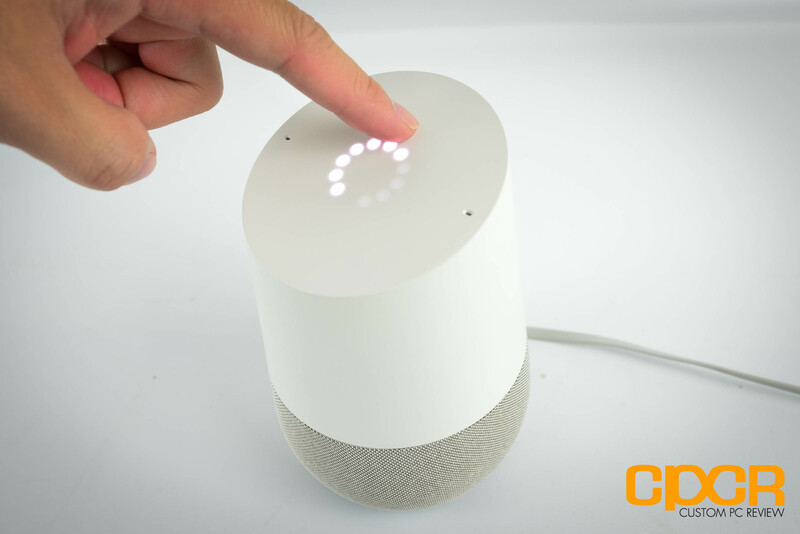 Once the Google Home is connected to a power source, simply download the Google Home app on your smartphone. 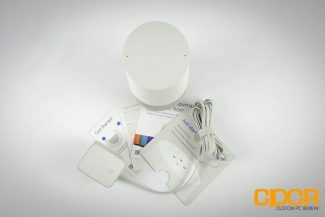 Your smartphone will then set up a temporary wireless network where the Google Home will connect to allow you to complete initial setup of the device. Initial setup simply involves naming the Google Home, setting up the Wi-Fi, and connecting services such as your Google, YouTube, Spotify, etc. accounts so you’ll be off in no time. If you don’t want to connect services initially, you can always do so later as well. After setup, starting up the Google Home is just a matter of saying “Hey Google” or “OK Google” after which lights on top of the Google Home will light up letting you know that it’s listening. After that, simply give it a command and if it’s something that’s recognized, Google Home will confirm your command then execute. 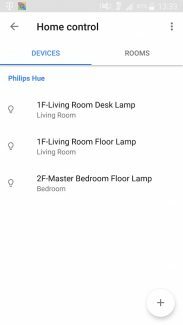 For testing, I put Google Home in the kitchen, living room, office and bedroom each for a few days which helped give me an idea of how Google Home could be used in each of these settings. In the kitchen, bedroom and office, I found that Google Home was most useful in helping provide a summary of my day every morning, set alarms, lookup information, check the weather, play music, and more. Additionally in the living room, it was able to cast YouTube to a Chromecast connected TV and help turn off my Phillips Hue lights before a video. Ask for a daily briefing which includes weather, commute times, meetings, reminders, and news. 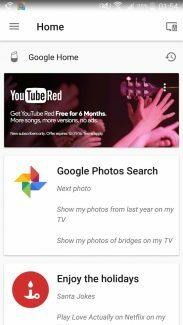 Additionally, since Google’s Assistant lives in the cloud, Google is constantly adding new features such as Netflix and Google Photos which was added recently on top of other supported services such as YouTube, Spotify, Pandora, Google Music, TuneIn, Nest, Philips Hue, and more. 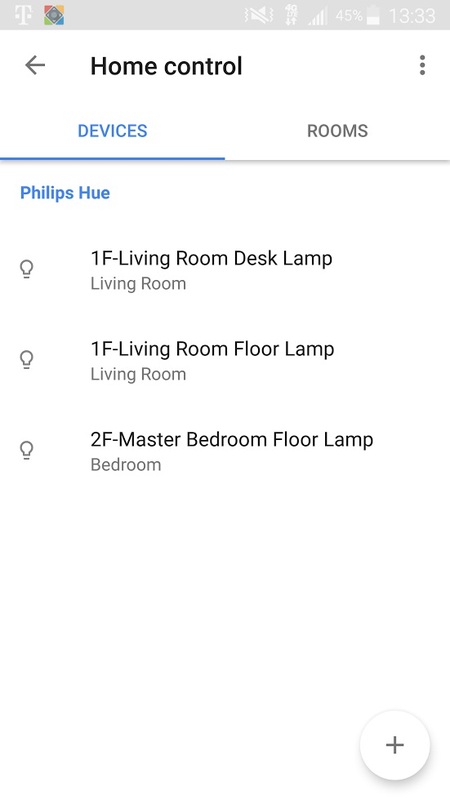 Google also recently opened up their Assistant platform to 3rd party developers enabling them to create “actions” for Google Home. Numerous companies and developers have already hopped onboard including Domino’s Pizza, Todoist, WebMD, Quora and Uber who have greatly extended Google Home’s functionality. That said, not everything is peachy with two major flaws that need to be addressed. These flaws include the limitation of only being able to link to a single Google account and the lack of biometric voice recognition capability. This unfortunately means calendars are only linked to a single account, shopping lists are linked to a single account, work commute times are linked to a single account, etc., so unless you live alone, Google Home is really only truly useful to a single person in the house. Additionally as Google Home doesn’t feature any sort of voice recognition capabilities, it also gives unscrupulous friends the ability to be extra annoying by doing stupid things like setting your heater to 90°F, setting alarms to go off every hour, casting stupid videos to your TV, putting ridiculous products on your shopping list, and you catch my drift… While it’s possible to simply mute the Google Home to prevent this, it’s not exactly an ideal solution. Voice recognition on the Google Home performed surprisingly well, which should be the case for a device that’s designed to be used almost exclusively by voice. 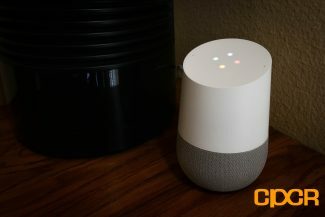 As long I placed the Google Home in a small to medium sized room, as long as I’m in the same room, and as long as there isn’t too much ambient noise, I rarely found myself having to repeat my commands even when speaking to the Google Home in a “normal” voice. 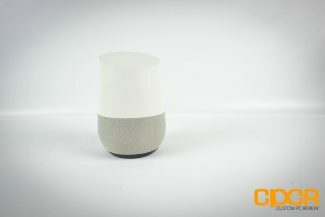 Moving further away, Google Home will also pick up commands given from other rooms as well although it’s necessary to scream those commands for the microphones to pick it up. 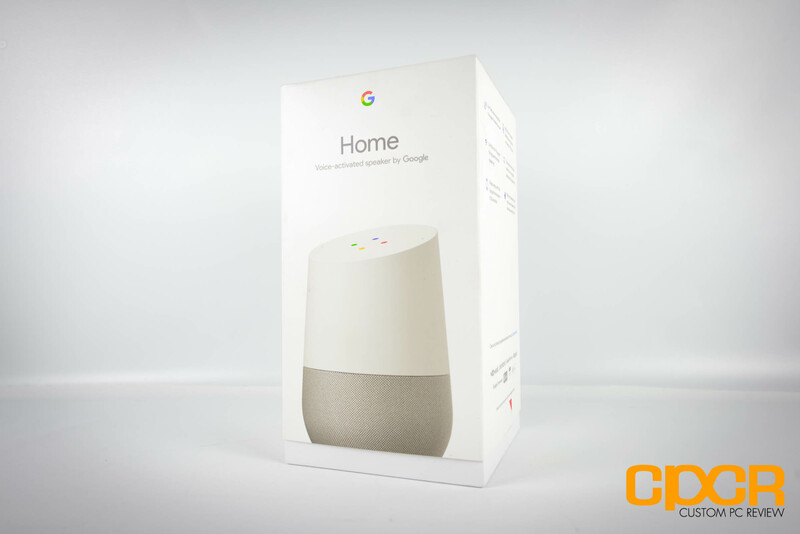 Those who purchase multiple Google Homes will have the nearest Google Home respond which is a good way to get Google Home coverage throughout your entire house. 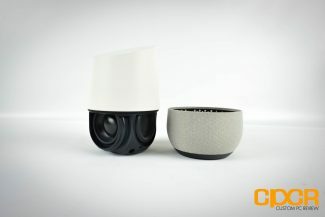 As for the speaker performance, the Google Home performed quite well for a device of its size. 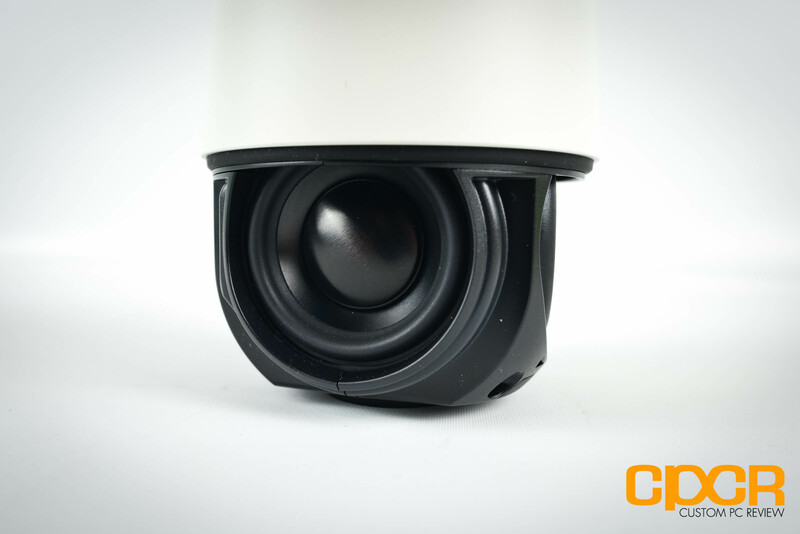 The speaker was able to fill small to medium sized rooms with ease and provides excellent background audio in larger rooms as well. 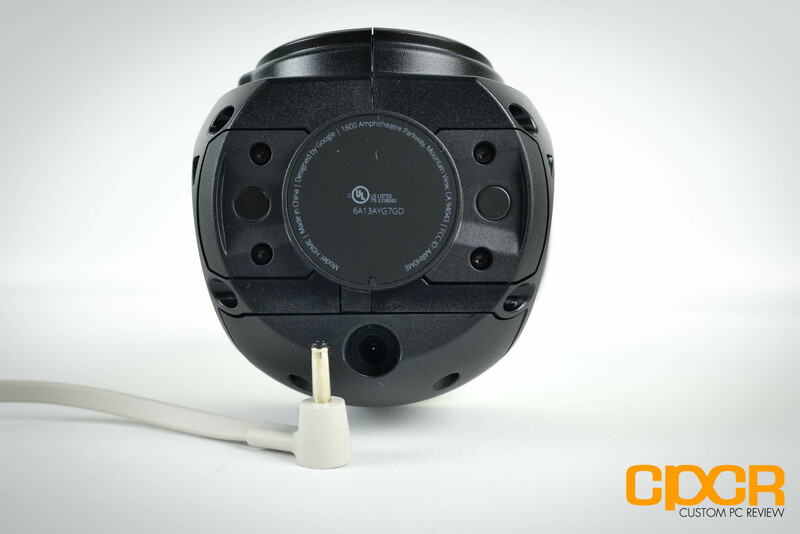 Sound quality definitely isn’t going to be up to par compared to reference bookshelf speakers or even a decent Bluetooth speaker, but it’s impressive for a device that packs just three 2″ drivers. What’s unfortunate about the Google Home is that it doesn’t have any ability to output audio via Bluetooth or a 3.5mm audio cable like the Amazon Echo Dot, so the only way to use Google Home’s smarts in conjunction with a quality speaker is through a Chromecast or Chromecast Audio. 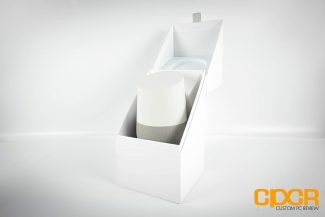 Currently the Google Home retails for $129, which is slightly cheaper than its biggest competitor, Amazon Echo, but Amazon does offer several Alexa powered devices at multiple pricepoints which is something Google currently doesn’t offer. Will Google offer a lower cost version of the Home? Well, that’s to be seen. At the end of the day however, it all boils down to whether or not the Google Home is worth the money and the answer is currently a qualified yes. Google Home is a great first entry into the smart speaker market and is finally a welcome competitor to the Amazon Echo, but it’s still a novelty rather than a must have at this point. Will it get better? I have no doubt, but unless you live alone and you already own a ton of compatible smart devices such as a Chromecast, Nest thermometer, Samsung Smartthings, and Phillips Hue lights, Google Home isn’t going to change your life. That being said, Google Home does have a lot going for it. 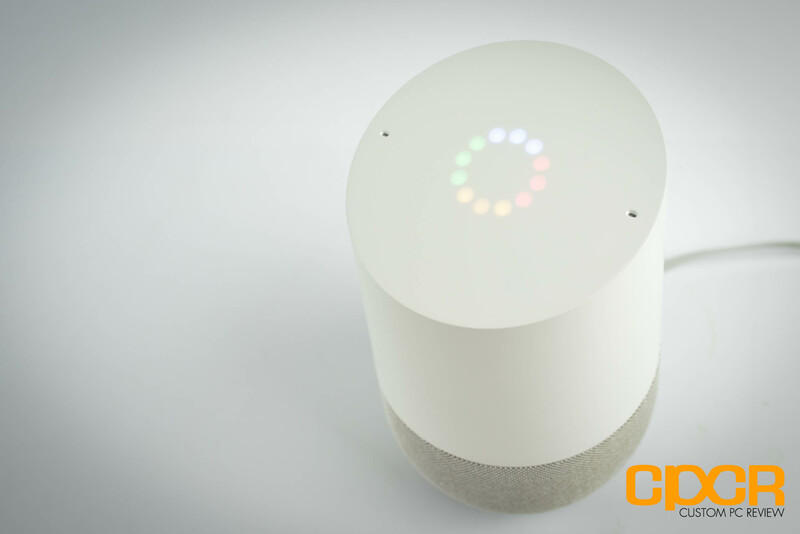 For one, Google recently opened up their Google Assistant platform to 3rd party developers, which should extend Google Home’s functionality very far. We’re already seeing that with the numerous services that have already been added and without a doubt there’s much more to come. Additionally, if there’s any company out there with the resources to make something like Google Home work, it’s Google. Considering how well Android turned out after years of fine tuning, I have no doubt that Google Home will be a compelling smart speaker down the road however, is that enough to invest into a Google Home today? That’s a decision you’ll have to make. We have found the Home to handle majority of our use cases better than the Echo. With the exception ordering stuff. So Thompson put up 60 points. “hey google what is the most kobe scored in a game”? Echo can not do this. Watching a rally and all the people have an acronym on their shirt. “hey google what does X mean” and Google answers. But it is the inference with music that is where Home really shines. There are times with the Echo you have to do a quick google search but with the Home you can fine what you are looking for with very little and there are situations where the Google Inference is better than a human. So say “hey google play gwen sting bottle” and Sting and Gwen Stefani starts playing. The last big difference is the Chromecast as output. 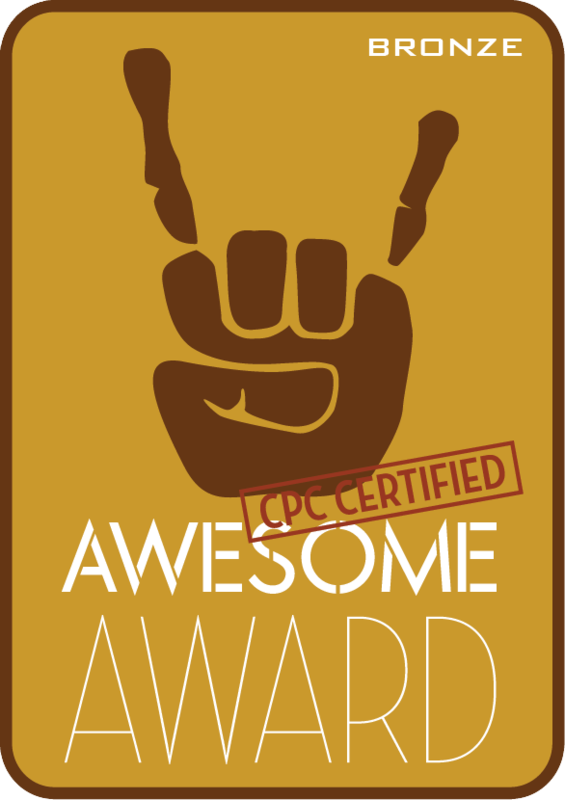 This is a big thing for us. 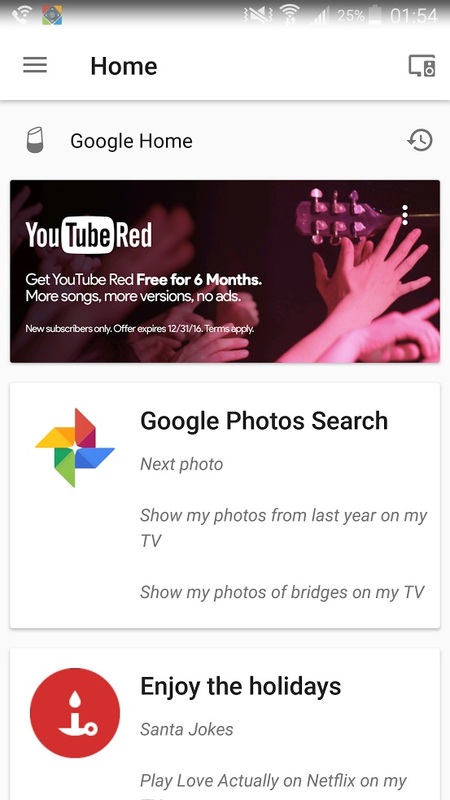 So wife says “hey google play SNL highlights on TV and the TV turns on, input set and SNL highlights from YouTube start playing. Only config by me was renaming the Shield to TV.